It's so hard to buy toys for my kids that keep them entertained for more than twenty minutes. Most of the toys that they own just get piled up in an baskets. Even if it holds their attention for more than twenty minutes, it is only when they first open the toy. After the novelty has worn off they never really play with it again. There are a few toys that keep my daughter entertained over and over again. A few tried and true toys that has kept my three year old entertained for quite some time are the Spin n Spiral Doodler Drawing Set (this is basically a toddler version of Spirograph), Kid Kraft Retro Play kitchen and newest on the list Perler Beads (also known as Hama Beads). I seriously love these Perler Beads. They keep Avery entertained for hours, and not only on the first time she used it, but for consecutive weekends. 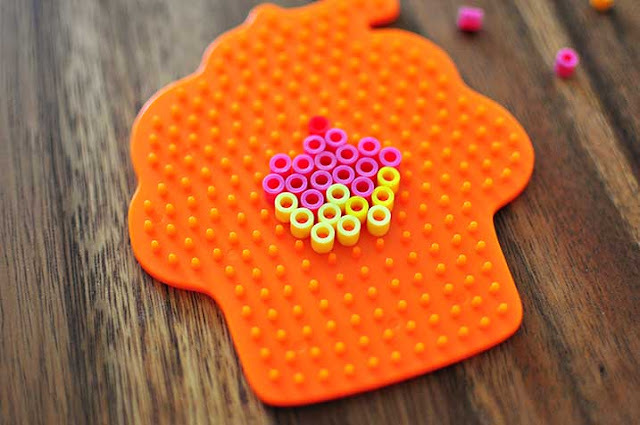 The beads help her with hand and eye coordination and they aren't messy like Playdoh (unless you spill the box). The beads are small, so its not recommended if your child still puts things in their mouths. The beads not only kept her occupied but it was fun to create things with her. These beads are strangely addicting. I made little cupcakes to decorate greeting cards with. I love this idea of making thank you cards to get her more involved in writing thank you cards. She gets super excited because she had a hand in making the card, so writing in the card isn't a chore for her. 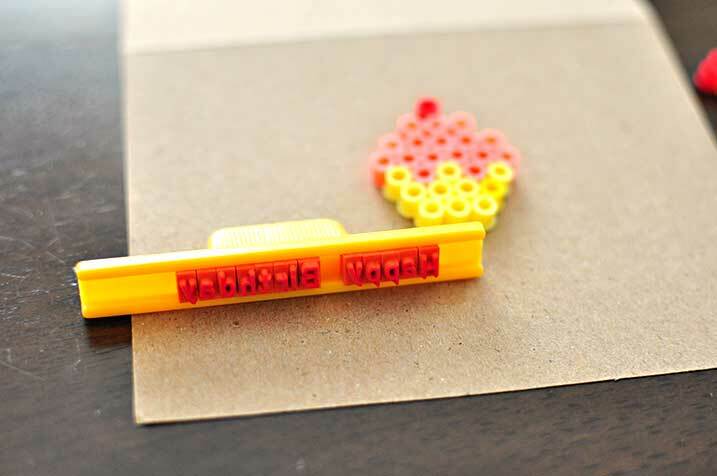 The kits basically come with small plastic beads, a pegboard, an sheet of parchment paper. 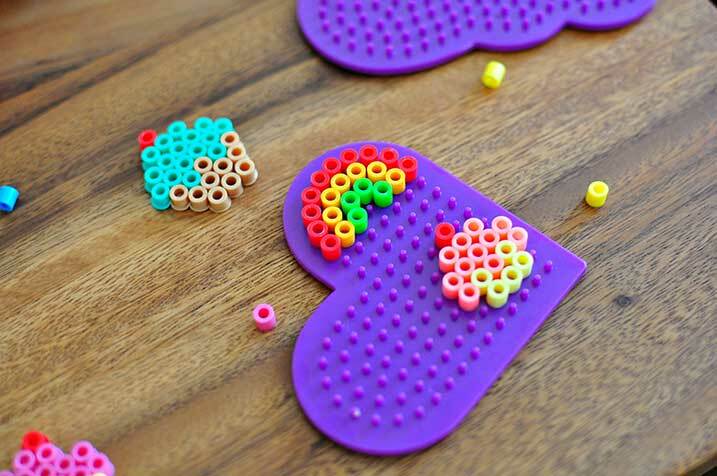 You place the beads on the pegboard in any pattern and then melt them with an iron. You can buy kits online at ConsumerCrafts.com, Amazon.com or at Michael's. Made rainbows with the sides of the heart, since I don't have a circle pegboard. I don't have a square peg board so I just used the cupcake pegboard. My new old stamp set that I love! 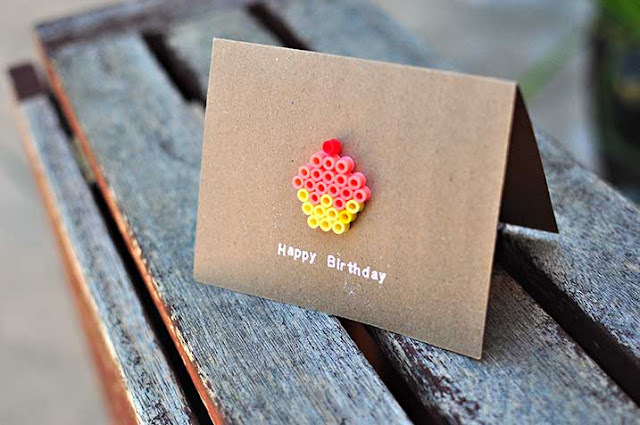 Here is a little cupcake I made to decorate a birthday card. I really like this info for this website. This website is very nice for the info wise that to using the great technology. 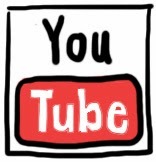 This website is very style for the presentation wise and this website is entirely different to compare the other blogs. 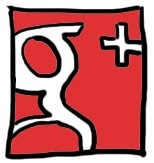 This is a wonderful articles is visible in this blog and using the great services in this blog. yes some these puzzel toys can entertain children more than 5 mint. thank you for this idea. Great stuff, for reading i just want to say thanks for share that. Its awesome.